He followed his favorite team mainly via a weekly NHL recap, which aired on Slovak TV every weekend and via the ProHockey magazine. “Every time I finished reading the latest ProHockey issue, I cut out literally everything related to the Avalanche – players, logos, jerseys, box scores, rosters, you name it. Everything ended up on my wall next to a big poster of Patrick Roy.” Michal later got his hands on the EA Sports NHL video game, which brought him even closer to his favorite team. 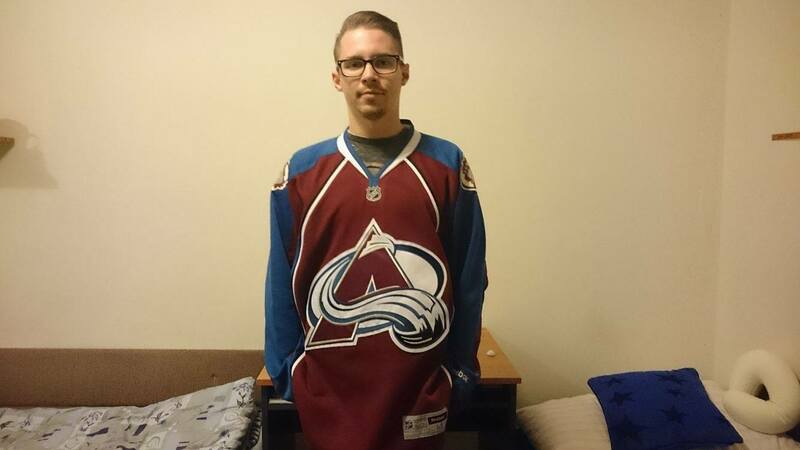 “Thanks to the NHL video game, I knew each player from the Avalanche roster by heart,” recalls Michal with a smile. Michal started to follow the NHL even closely after he started to play fantasy hockey. 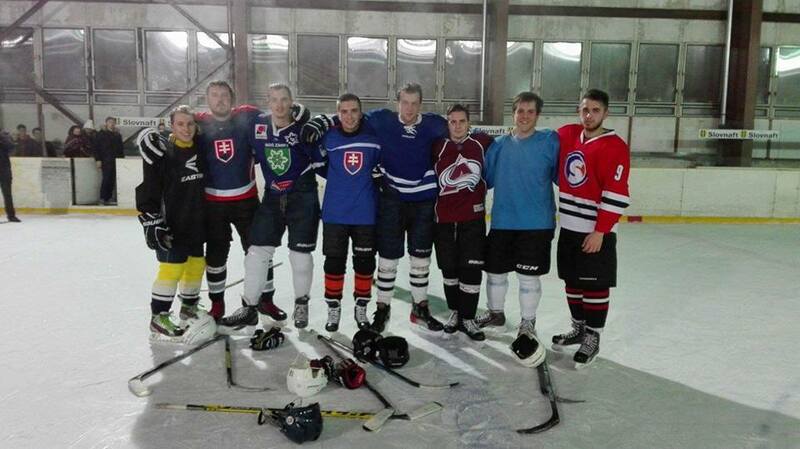 “I found a friend through fantasy hockey, who is a fellow Avalanche friend and we began to post brief game recaps on Facebook in Slovak, which is how we ultimately came across Eurolanche and became fan club members.” Michal became a Eurolanche member in 2012 and began to write articles shortly after. He is still an active member of Eurolanche’s writing staff, but because of his studies, which take up most of his time, he mainly focuses on English translations and interview transcriptions. “Nowadays, I mostly transcribe interviews. Eurolanche gives me an opportunity to get my hands on material I wouldn’t have access to otherwise. 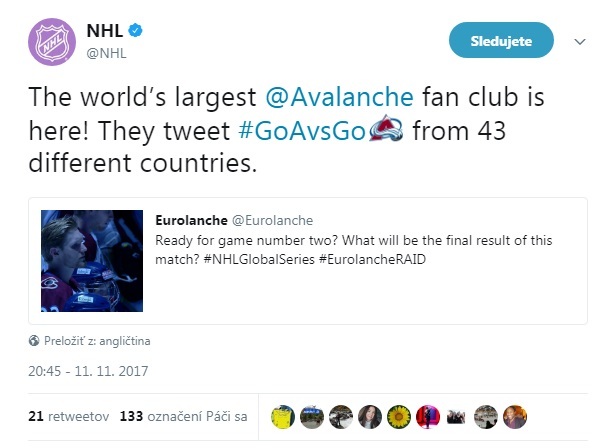 It’s awesome that even though we are a European fan club thousands of miles away from Denver, we can still bring interesting interviews with current and former Avalanche players to fans not only from Europe, but from all around the globe,” said Michal, who is currently working on the English translation of the upcoming book about Eurolanche.